Lagos, on Portugal's beautiful western Algarve coast, has a long and interesting history, with the name dating back to Celtic times. It has seen Phoenicians, Romans, Christians, merchants, adverturers and was a major port trading with Africa and the Mediterranean. Unfortunately an earthquake and tidal wave destroyed much of the town in the mid 18th century, but it is now a vibrant centre with stylish shops, promenades and cobbled back streets and a relaxed atmosphere making it one of the most sought-after locations in the Algarve. Praca da Republica is a popular place to sit and watch the world go by. Lagos property can be some of the more affordable in the Algarve, which is itself less expensive than the popular areas of France and Spain - there is a huge choice of new and old property in Lagos and the surrounding villages - from villas and apartments to typical Lagos townhouses and countryside farmhouses. We market property in Lagos and the surrounding villages and countryside including Luz, Burgau and Almadena. Due to its popularity Lagos property offers good investment and rental potential. In recent years new laws have been introduced to stop foreigners purchasing property in Portugal through an offshore company and so save many thousands in taxes. Despite concern, the market has not faltered and actually is stronger than ever. On finding a property you wish to purchase, your agent will draw up a 'Letter of Intent, this will be signed by both parties, vendor and buyer. Copies of this will be given to the legal representatives of both parties and will be used in preparing the Promissory Contract. Included in this letter will be the price, what is included in the sale, furnishings etc. and any conditions of the sale plus the dates for both exchange and completion. The buyers lawyers are responsible for drawing up the promissory contract (Contrato Promessa de Compra e Venda) and as part of the process they will have carried out the legal searches and made sure that there are no charges, e.g. utilities, property tax etc. against the property. The contract will contain details of both parties and include clear title of ownership, when payments are due to be made, the completion date and an inventory, if required. The Promissory Contract is legally binding and will generally be signed by both parties and witnessed by a notary/lawyer. The contract will include penalty clauses in case either party does not fulfill the terms of the contract. A 10%, non-refundable deposit is required at this point, this will be paid to the vendor, through the lawyer's client account. Once the contract has been signed, if the vendor pulls out of the contract, they will be obliged to pay back double the deposit to the purchaser. If the purchaser pulls out, they will lose their deposit. The amount of time between signing the Promissary Contract and Completion will vary and will have been agreed in the contract. Before Completion your lawyer will need to arrange with a fiscal representative for you to obtain a Portuguese Fiscal Number. The official Deed of Transfer of ownership (the Escritura) will be signed by you (or someone representing you with your Power of Attorney), this is signed at the Notary and they will retain the document. The Deed will be read aloud by the Notary before all participants sign it. Your lawyer will need to check to ensure that you understand what is being said if you do not understand Portugese. The Escritura, once it has been signed, will officially give you ownership of the property, but will still need to be registered in your name on the Land Registry (Registo Predial) by your lawyer. Your lawyer should obtain a copy of this for your records. Once you have completed, the new utility contracts can be transferred into your name by your lawyer. Meet Paul Cotterell, our agent in Lagos, Portugal. A. The Lagos property for sale market is steady at the moment, quite buoyant, I think that it is still quite clearly a buyers market at the moment, but it is showing signs of movement. A. Since 2008 it has showed a gradual growth in sales, from 2012 – 2013 we’ve actually surpassed many of the years before. 2013 has been a very productive year for us compared to the previous 3 – 4 years. A. The properties that are not selling are resale resort properties that have been purchased in and around 2003, 2004 and the reason for that is the majority of these properties have been purchased with mortgages, very high mortgages, they are not being sold because the banks will not allow them to be as they have a considerable amount of debt on them. Q. Is Lagos a buyer's or seller's market? A. 1000% a buyers market at the moment. There are a few circumstances where sellers have had a good option, but these are primarily people who have bought prior to the year 2000 at a very good exchange rate coming over from Europe. People are walking away with some very good deals currently. A. Apartments are still proving to be very popular, especially two bedroom and three bedroom apartments particularly within resorts, where there are good facilities with pools and extra luxuries. Also properties which are located close to towns or beach fronts. The mid range villas are moving also, but what we have noticed over the last year is that people are very particular about where they want to be located and the type of property they are looking for. If they are looking for apartments, then they want them close to the seafront and towards the outskirts of the town, so that they can just walk into the town. Q. What nationalities are driving the Lagos buyers market? A. 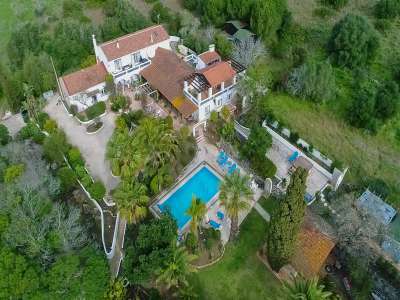 We are not seeing a steady flow of any particular nationality we’ve noticed a contingency of French, maybe because of the hike in the French taxes, but also quite a lot of English clients are now putting their money into property in Portugal and the Algarve. The returns that they are getting for their money is much better than leaving their money in the bank. It is also proving popular with Scandinavians. Q. Are specific areas of Lagos popular with particular nationalities? A. Gone are the days of people wanting to be out in the countryside, and wanting large plots of land, people are very much looking for ocean front locations, where they can just park outside their property and walk to the nearest beach. People are still hiring cars, but if they can acquire properties on the seafront or in a town, there is no need to hire a car, so they are trying to make it as cost effective as possible. A. Bit of both really, some clients are adding to portfolios, primarily for rentals, particularly in the high class resorts where we now have an amount of owners that are buying one two or three apartments mainly because of the rental returns that are coming back to them. We have a lot of owners living in the Algarve who are buying up second and third properties which are giveaways or bank re-possessions, or even renovations that need time and effort and they are in a position to give time to building up their property portfolio. A. We cover the areas of Alvor, Lagos, Luz, Sagres to Vale da Telha. The type of property owners vary from these areas, from apartment to luxury Villa owners, from Golf resorts to small boutique resorts. Alvor This former fishing village on Portugal’s southern coast has become a popular resort. Spend a day on Alvor’s main beach, or find one of the smaller, secluded coves along the coastline. In the evening, stroll through the town’s narrow cobblestone streets, dine on fresh local seafood, and enjoy live music at one of the many lively bars. Lagos There is rich and beautiful history within Lagos’s 14th century walls, from its fortress to picturesque churches like mediaeval São João Hermitage and the 17th-century São Sebastião. But that’s all an appetizer. People come here for a main-course coastal buffet featuring more than a half-dozen beautiful beaches. Quiet sandy coves are sandwiched between dramatic cliffs. The sandy 2.5-mile stretch of Meia Praia beach caters to every water sport imaginable. When you’ve had your fill, you can digest your day with some of the best nightlife in the Algarve region. Luz: Praia da Luz is another Algarve resort that has seen much development in recent years and it has become a firm favorite for the English ex-patriot community. It has retained its appeal and attractiveness by being held to a relatively low-rise landscape. Despite its growth, much of Praia da Luz accommodation is easily accessible and within walking distance of the town and the beautiful beach, whose bay is sheltered by the 'Black Rock'. There are lots of restaurants, cafés and shops along the promenade, which runs behind the beach. There are also all sorts of market stalls and artists displaying their work where you can browse if you want a break from the beach. Surprisingly, there are also some ruins of Roman baths from 3rd to 5th century A.D just behind the wall that runs along the promenade. There is a door in the wall which is open from 10am to 5pm every day and just up the steps are the remains of Roman baths. Luckily this last piece of history was saved from the developers and preserved and is now overlooked by modern villas. Q. What are the local annual Lagos property taxes? A. Once you have purchased your property the main tax is the IMI tax, this is the rates you will pay on the property and will be calculated by a council valuation (patrimonial value) of your property. They work on a percentage, this is payable three times a year. A. Yes, we always recommend that if the property is more than five years old then a full structural survey should be done. If there is anything obvious, any cracks etc. on a property less than five years old, then this property should also be surveyed. Generally the lawyer who is representing the purchaser will also recommend a structural survey. A. This is what we tend to do, in each of the areas across the Algarve we have a handful of lawyers that we recommend. We are confident of their ability to speak English and we are confident of their capability and their professionalism. The lawyers we recommend are multi-lingual or will have people working for them that can speak any language that is required. What we do recommend is that clients use a lawyer who practices in the area where they are making their purchase. What happens with a client who wants to use their English lawyer is that they will also have to have a Portugese lawyer and this can cause delay and make things awkward. What we would do for these clients is to suggest that if they are using one of our recommended lawyers we link the Portugese lawyer with the clients English lawyer, then the local lawyer can start the ball rolling and a relationship can be started between the local and the English lawyer before the process starts. A. There is no inheritance tax, but it is still wise to take some legal advice from a lawyer on how they want to register the property. Many owners recently are starting to put the property into joint names, or putting it into their children’s names. A. All documentation is in Portugese by law. We do provide copies translated into English as well. It comes down to the sales process and it is the lawyers responsibility to supply to the buyers a copy of the documentation they have been asked to sign, translated into their native tongue. Q. Are any of your Lagos properties leasehold? A. No. Things have changed here, the only properties which are now leasehold are business properties. If you buy an apartment in a condominium you will be buying it freehold. The area outside (the condominium) will require a contribution as a maintenance charge for the up-keep of those areas. There may be properties within the condominium which are business premises which are servicing the condominium and these may be leasehold. A. Yes, we tend to use AXA in Lagos, we have a fantastic relationship with them, very friendly and all English speaking and we can get quotes and situations resolved very quickly with them by picking up the phone, a quick email or text. A. Yes. We are a large company and we have our own in-house maintenance teams, maids, pool cleaners, gardeners. We are a one-stop shop. If there is anything needed to be done to the property from the painting of the building, decorating, cleaning, then we take care of it. A. Yes we do, we have a few select builders that we use. We trust the builders that we use, we know the quality of the work they do and have built a relationship with them. We do encourage clients to have their input, they may feel a little nervous and we don't want them to feel they are being steered too much in one direction, we want them to feel comfortable with the process. The experience should be pleasing and as happy for them as possible, especially as they may be buying their first property abroad, or even their second and we don’t want to put any extra pressure on their shoulders. We have had situations where builders have come down to the Algarve from Lisbon to work for our clients and this is primarily the purchasers decision. If the builders have been recommended by someone other than us, who is from outside of this area, all we can do is say to the client is 'Sorry, we don’t know them, we don’t have any experience with them, we can’t go and look at any of their product'. When we are using the builders we recommend we can show our clients villas and properties that have been built by these people, the client can go and have a look at the quality, touch it and feel it. If the builders are coming from miles away we can’t do that. A. We’re very much hands on and very much into personal recommendation and the one company we would recommend in the Lagos area is called Gentle Bee transfers, they are very punctual and professional. A. We have an agreement with a company called Auto Jardim, they are one of the biggest companies in Portugal, we don’t have any issues they always have plenty of cars and the standard of the cars is good and they are regularly renewed. A. We tend to cater for their requirements, if they haven’t got a vehicle we will be happy to pick them up, take them around the properties and drop them off at the end of the day. I would say around 75 – 80% of our clients will come to the office or arrange to meet us at the property. A. November is notorious for having a few showers and April and May can be showery, but most of the year it is warm and sunny. A. It is always an advantage to speak Portugese when you come here, but their knowledge of English is very good, they are trying to improve their language skills as much as we are trying to improve ours. It is always nice to make an effort to show you are willing to try with a few basic words. A. Crime is very low in the Algarve and most of Portugal, there are one or two areas that you want to be careful in, my personal one to avoid would be Albufeira, especially through the summer time, you get lots of groups of people who get a bit carried away and have too much alcohol and this can cause problems. A. There are international schools spread across the Algave, they are very good schools, they are based in Lagoa, Burgau and Aljezur and there are several more. The local Portugese schools are also very accommodating and children are able to absorb the language skills, it’s good for them to see and experience exactly how the local population get their schooling. A. There are all different types of religions practiced here and there are many Churches, and a small Mosque in Portimao and a synagogue in Lisbon. A. There are a couple of very large local hospitals one in Lagos and one in Portimou, which caters for the locals and two or three private hospitals which do cater for the holidaymaker as well as the ex-pats living here with private medical care. They are very, very good. People from the UK are entitled to receive state healthcare in Portugal by registering as a resident and then with their local health centre. If you receive a state pension in the UK but live in Portugal your healthcare should be covered by the UK, but you will need an S1 form. If you are visiting the Algarve you can get a European Health Insurance Card which lets you get state healthcare at a reduced cost or sometimes for free. A. There are many festivals, the Carnival, the Mediaeval festival and lots of other small festivals from outside the area like the ‘Sweet Potato’ Festival and the ‘Sardine Festival’ where they just serve sardines continuously! A. In Lagos the variety of restaurants is immense, you can have anything from Thai food, to Chinese, from Indian to Portugese to fish and chips. There is an Indian restaurant in Praia da Luz called Pashmina, which is very good, there is a restaurant here in Lagos, not far from our office called No Patio which I enjoy. There are some very good top class restaurants, but I would highly recommend going to the local Portugese restaurants for great quality and very reasonably priced food. A. I don’t go to nightclubs myself, but there are a couple of nightclubs in Lagos which open around midnight in the summer months, but if you want to travel twenty Kilometres down the road to Portimao there are a number of clubs you can go to in Praia da rocha. A. My personal gym at the moment is the Estrela de luz, that is within the resort and is very good. Another very good Golf and Spa Gym resort is the Boavista, which is just on the outskirts of Lago. A. Golf clubs particularly interest me, especially the Boavista Golf club and the Palmares Golf club. There are many other leisure activities. If you want to go horse riding, there are horse clubs, there are also football clubs that you can join, there is even touch rugby at one of the local leisure centres and basket ball and hockey, so there is something for everyone. Q. Where are the best places to shop? A. Portimou, which is the new aquacentre, has an indoor shopping centre with lots of shops, plus there is a very large shopping centre towards the centre of the Algarve called Guia, this is a huge indoor shopping centre with cinema etc. Because I’ve got children, my favourite shop is now Primark! Q. Are there are any new laws affecting property in Lagos? A. One of the main new laws is to do with rentals. Laws have been brought in to create a little safety net around a lot of the properties with regard to renting. If anybody is wanting to rent their property to the foreign market they do require rental licenses. The most substantial one over the last few years is to do with the bore holes. Because the Algarve is on a water vein, many years ago if a property had a largish garden people used to have a bore hole put into the garden and they could draw as much water as they wanted. They have now stopped that in certain areas, you can now only have one bore hole for every 200 sq mtrs. A. The motorway now runs almost from one side of the Algarve to the other which has helped things dramatically by taking away traffic from the back roads across the Algarve. It is very quick and you don’t see any traffic jams on the motorway. The rail links are very good and very efficient, running frequently and it now links the Algarve to the North of Portugal. Q. Are there any new laws restricting rentals in Lagos? A. Rental licenses are a must now. If anybody is wanting to rent their property to the foreign market they do require rental licenses. They are not a costly affair if the property is in good order it may just need a small amount of updating to abide by the rental laws, this can usually be done quite cheaply. There are still many owners who don’t have rental licenses and they are facing the risk of being caught and fined significantly. We are also a rental company ourselves and insist that all the properties we take on do have their rental licenses in place. We have the facilities and people working for us who are trained in getting all the documentation filled in correctly and passed by the local authorities. The properties are then inspected by the electrical, gas, water authorities etc. Certificates are then issued on that property. To be able to advertise to sell, or rent your property, you now need an energy certificate which will prove that the property is energy efficient. Q. Do you market rental property? A. We are a very big rental company, we see a lot of people who are buying properties who want to put the property onto the rental market. We can take on these properties as rental properties or we can guide them in the right direction. We deal with all aspects of the rental market. It is very important to us and can be regarded as our motto that we are very much a ‘one stop shop’ there is nothing we can’t do for you as a buyer. It is a massive thing for someone to come to a foreign country and buy, when they come into the door here they are nurtured and taken care of and when they leave the office they have all the experience and knowledge to be able to make things work for themselves in a foreign country. Q. What is the state of the local rental market? A. There is a bit of a dip at the moment to do with the rental licenses, if we could have all of our rental properties efficient and up with their licenses then everything would be fine, but it takes time and effort and a lot of the people who were asked to have rental licenses dropped out and said 'No we don’t want to get one, we are going to carry on doing it ourselves,' and we’ve had to remove them from our market. But it has been quite a good rental year for most companies. Q. Are rentals mainly for short term, long term or students? A. Mostly short term, holiday lets. Just lately there have been quite a lot of long term enquiries because people are coming to Portugal who are a little bit nervous about investing money into a property here, they are coming out and spending 6 months, a year or even more in rental properties while they decide whether to buy. Q. What type of rental properties are people looking for? A. The majority of our clients are looking for 2 and 3 bedroom apartments within a luxury resorts.